Score this 5-Pack of PandaHome Men's Socks for only $12.99 on Amazon, regularly $29.99. A gift box has 5 pairs of socks with soft touch, absorbs odors. 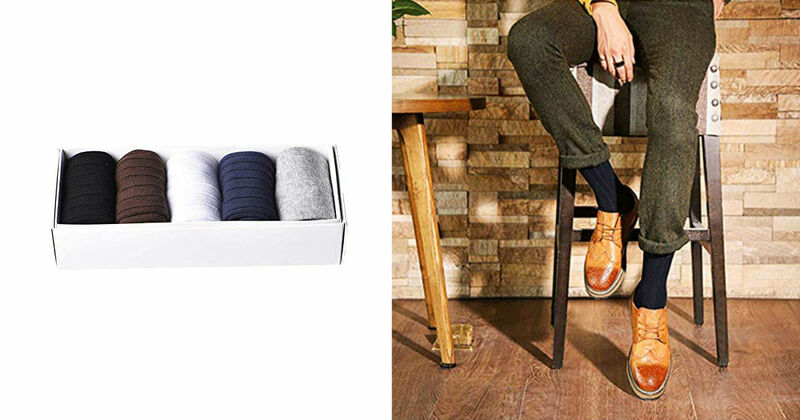 Can keep your feet fresh and dry, this man business socks are super comfortable and extremely breathable.